North Hills Veterinary Hospital takes pride in providing services to our customers throughout the Rochester Hills, MI area. We offer our expertise with various pet-related services at our veterinary clinic and animal hospital location. Dr. Norman Bayne, who is a licensed veterinarian, operates the Animal Medical Center Rochester Hills to ensure detailed and quality care for your pets. 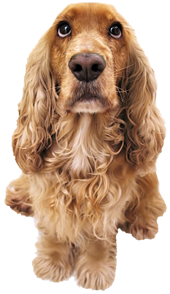 We are dedicated to providing excellence and the promotion of overall pet health. At Rochester Hills Pet Hospital, pets receive focused care and services through the attention given by our committed team. Our ultimate goal is to keep your pets healthy and safe year around. This means assisting you with the provision of consistent nutrition and exercise practices. We are proficient with the top advancements in veterinarian technology that enhance the lives and care of all animals and pets. Our team gives each pet love and attention during their check-ups, procedures, and surgery. Most pet owners want to have access to quality veterinarian care that is also convenient. This means finding a location that is nearby your home or work setting. Fortunately for Rochester Hills residents, they have access to an experienced vet and his qualified staff. These are individuals who are skilled at handling diverse animals and pets. They understand the importance of applying compassion with each service provided. This takes into consideration whether visits are illness-related or just a check-up. It doesn’t matter whether you have a new pet or a long-time family friend. We will ensure that all of the pets we treat are well cared for. Utilizing this clinic is a good way to start your relationship with a new pet. Simply requesting an appointment for the first exam is easy. In fact, this is a service that is provided for free when you sign up with us online. You will enjoy the being able to schedule future visits at the Animal Health Clinic Rochester MI. This is a great way to continue taking care of pets as they grow. Those moving to the area don’t have to worry about finding a skilled veterinarian. We provide visits to new pets, as well as, accommodating emergencies. These may be situations that have to do with the ingesting toxic substances. Our team understands the importance of quality care in all instances. If you have an older pet, we will be there to assist you with senior care strategies. Visiting us with questions and concern for your pet is a good way to care for them now and in the future. Dr. Bayne and our team are always available to help you and your pet. We can assist you with resources and tips to provide better care techniques. Preventative strategies, nutrition solutions, and healthy regimes are a part of our expertise. Pet owners will have peace of mind in the specialty care we provide. Call us today at 248-506-1104 or email us to schedule your visit! We would be glad to welcome you and your pet as a part of the Rochester Hills Pet Hospital family.